Come by Island Mazda near Freehold, NJ to experience the innovative 2018 Mazda CX-3 Touring. The interior of the CX-3 Touring expresses the vehicle’s unique character. Colors and fabrics are combined in unexpected ways to inspire a sense of sporty refinement. On select models, carefully crafted lines of stitching create a feeling that’s solid and rich. Everywhere you look, clean lines and modern design help eliminate distraction, so you can focus on what matters most—driving. At your feet, even the CX-3’s most basic features, like foot pedals, are engineered to make driving effortless and enjoyable. Symmetrically placed to align with the driver’s centerline, each pedal is specifically designed for easier and more precise control and stability—all to help eliminate foot fatigue on longer drives. The moment you sit down in the CX-3, you’re elevated in a driver-centric cabin, designed to expand your visibility of the world around you. The dash features futuristic-looking analog dials and a full-color display screen. Every detail of the CX-3 makes it feel like a second home—and driving feels like second nature. The available Active Driving Display helps you take your mind off distractions by projecting critical driving information directly in front of you. Strategically positioned in your field of view and above the gauge cluster, this innovative display allows you to process information faster by keeping your eyes focused toward one place—the road ahead. 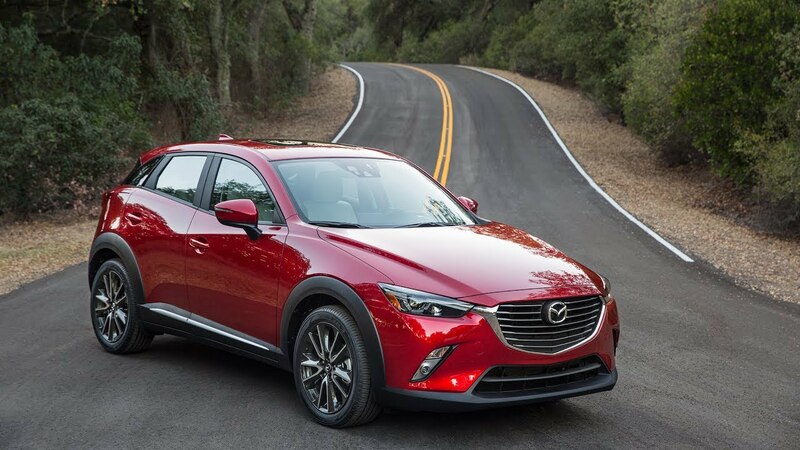 Every aspect of the Mazda CX-3 Touring, from its body construction and engine technology to its chassis and transmission, is engineered to maximize driving dynamics. And minimize fuel consumption. This is made possible by SKYACTIV TECHNOLOGY, our unique engineering approach that gives you a better driving experience with up to an equally impressive EPA-estimated 34 highway MPG. Mazda’s latest technology, SKYACTIV-VEHICLE DYNAMICS with G-Vectoring Control, helps achieve a smoother, less fatiguing drive. For you and your passengers. It achieves this by adjusting power delivery and shifting vehicle weight. The effect is subtle, but how you feel after a great drive isn’t. Why go to these lengths? Because we believe no detail is too small when it comes to making driving better. Mazda was the first automaker to use ultra-high-tensile-strength steel in a production vehicle. The SKYACTIV-Body in the Mazda CX-3 Touring continues to incorporate this light-but-strong steel in critical areas to help make it lighter than normal, yet stiffer and stronger. Stop by Island Mazda near Freehold, NJ to test drive the all-new 2018 Mazda CX-3 Touring. You can also browse our online inventory of CX-3’s here. We look forward to doing business with you!